Lou was absolutely thrilled to be able to talk at the south Wales Federation of Small Businesses FSB Connect lunch at Bridgend College today. Hopefully her 10 minutes on the importance of good design will have inspired a few business owners. 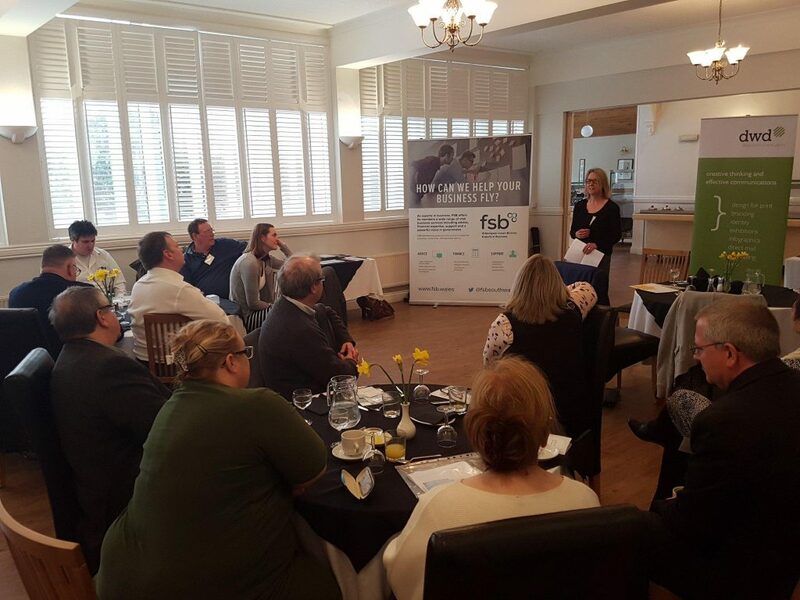 It was another great FSB event and it was a delight for both of us to meet, share stories and enjoy lunch with so many enthusiastic business people. Many thanks to the FSB for putting on the event.